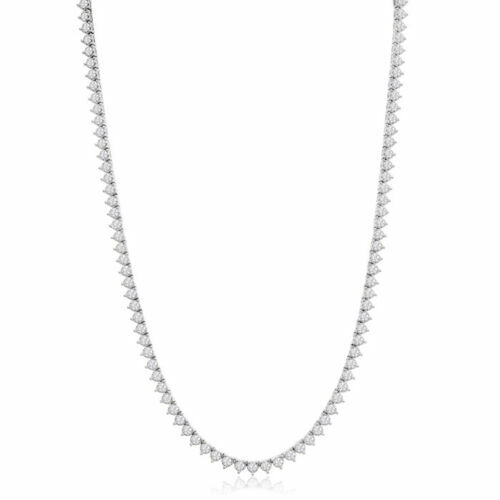 GAL Certified 14k White Gold Diamond Tennis Necklace 16 CT F-G VS 3.75MM 16"
This elegant round cut diamond tennis bracelet features 25 grams of 14k White Gold metal with 16.38 ctw of diamonds. The diamonds feature a colorless grade of F-G. The clarity is grade as VS. 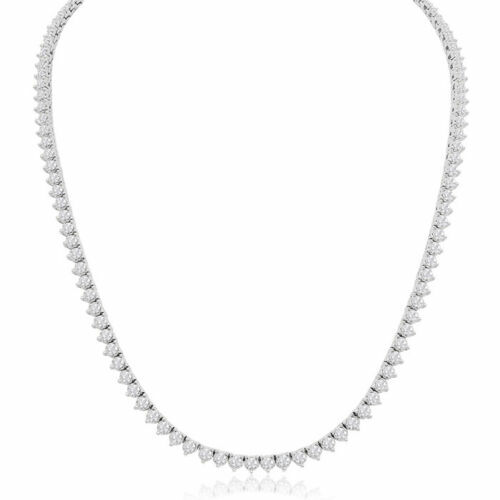 The diamonds in this tennis necklace are set into a 3 prong setting. This diamond necklace has lots of fire, brilliance and sparkle. 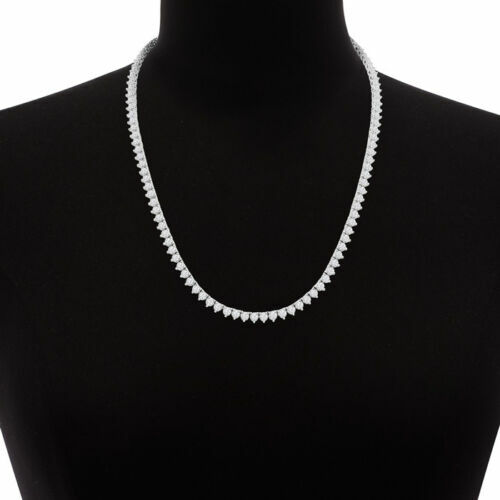 This diamond tennis necklace will surely turn heads wherever you go. We are the leading diamond manufacturers in NYC, with the guaranteed lowest price. This is a once in a lifetime opportunity to get such a beautiful tennis necklace at this incredible price. 100% Natural Diamond Not Treated in ANY way!! !